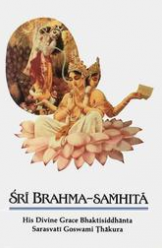 This morning we share with you the Prabhupada_Jaladuta-Diary as a free pdf download you can read online or save to your computer. Below is a brief description of Srila Prabhupada’s Journey to America. A few days before his sixty-ninth birthday, Srila Prabhupada set out for America. He got a free ticket to travel to New York from the proprietor of Scindia Steamship Company, Smt. Sumatee Morarji. He was the only passenger on board that small weathered cargo ship named Jaladuta. In his possession were a suitcase, an umbrella, a supply of dry cereal, about seven dollar’s worth of Indian currency (approximately Rupees Forty) and several boxes of books. srila prabhupada journey to america by jaladuta shipThe Jaladuta, under the command of Captain Arun Pandia, whose wife was also aboard, left at 9 A.M. on Friday, August 13, 1965. Srila Prabhupada sat in his stuffy cabin which rolled back and forth with the motion of the sea. He suffered from sea sickness, dizziness and vomiting. He also had two heart-attacks but survived by the mercy of Lord Krishna. When the Jaladuta arrived in New York Harbor thrity-seven days later, Srila Prabhupada was utterly alone. He had come to America knowing no one, with absolutely no visible means of support, and with only the meager handful of possessions he had carried on board the ship. He had no money, no friends, no followers, not his youth, good health or even a clear idea of how he would accomplish his far-reaching – objective to present the spiritual knowledge of the Vedas to the entire Western society. 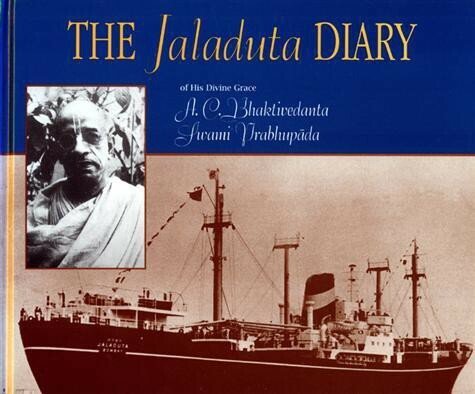 Several years later, a disciple discovered the diary Srila Prabhupada had kept during his passage from India on the steamship Jaladuta. This diary is available in the form of an e-book: The Jaladuta Diary. Inside was a poem, handwritten in Bengali, that Srila Prabhupada had written on board the ship just after it had arrived in Boston harbor. The poem beautifully captures Srila Prabhupada’s first impressions of Western civilization and reveals his heartfelt determination to change the consciousness of America. Srila Prabhupada expressed his humble faith in Lord Sri Krishna and the special instruction of his spiritual master, who had instructed him to spread the teachings of Krishna consciousness throughout the English-speaking world. My dear Lord Krishna… How will I make them understand this message of Krishna consciousness? I am very unfortunate, unqualified and the most fallen. Therefore, I am seeking Your benediction so that I can convince them, for I am powerless to do so on my own. I am sure that when this transcendental message penetrates their hearts, they will certainly feel engladdened and thus become liberated from all unhappy conditions of life. This poem was written on September 18, 1965. April 1965: While approaching the Scindia Steam Navigation Company in Bombay to sponsor his passage to America, Śrīla Prabhupāda received one of their complimentary diaries. He used it at first as an appointment book. Once his voyage to America on the Jaladuta began in August of that year, he made regular entries in the diary to record the events of the journey. Subsequently, the diary was kept in the safe of the New York temple until 1972, when Śrīla Prabhupāda requested Bali-mardana dāsa, the temple president, to take personal care of it. Today it is still in the care of Bali-mardana dāsa, and he is arranging for its permanent display and preservation. Excerpts from the diary were first published in 1980 in Volume 1 of the Śrīla Prabhupāda Līlāmṛta, the authorized biography of Śrīla Prabhupāda. Portions have also appeared in some of the annual Vyāsa-pūjā books. With the approach of the Śrīla Prabhupāda Centennial in 1996, we feel it is fitting that the diary be presented in its entirety. Again, in the Caitanya-caritāmṛta there is a description of Śrī Caitanya Mahāprabhu praising Rūpa Gosvāmī’s fastidious handwriting (CC Antya 1.96-7). Thus, the handwriting specimens of pure devotees are intimate momentos of their spiritual lives, and we must therefore consider ourselves most fortunate to have the remnants of Śrīla Prabhupāda’s handwriting. This diary of the voyage of the Jaladuta is a personal account of the challenging journey that launched Śrīla Prabhupāda’s life mission. Readers will find it to be a remarkable document in the history of religious movements. It reveals the full measure of Śrīla Prabhupāda’s devotion, faith and self-abnegation, which qualify him as one of the world’s few genuine spiritual leaders. We hope this book will inspire others to appreciate Śrīla Prabhupāda’s triumph over adversity and to follow in his footsteps.